In a bowl, mix the flour, baking powder, baking soda, salt, and sugar. Cut in 1/2 cup butter until the mixture resembles coarse crumbs. Mix in the buttermilk. Turn out onto a lightly floured surface, and knead 2 minutes. Transfer to an ungreased baking sheet, roll into a 6x6 inch square, and cut into 12 even sections. Do not separate. Bake 15 minutes in the preheated oven, until a knife inserted in the center of the square comes out clean. 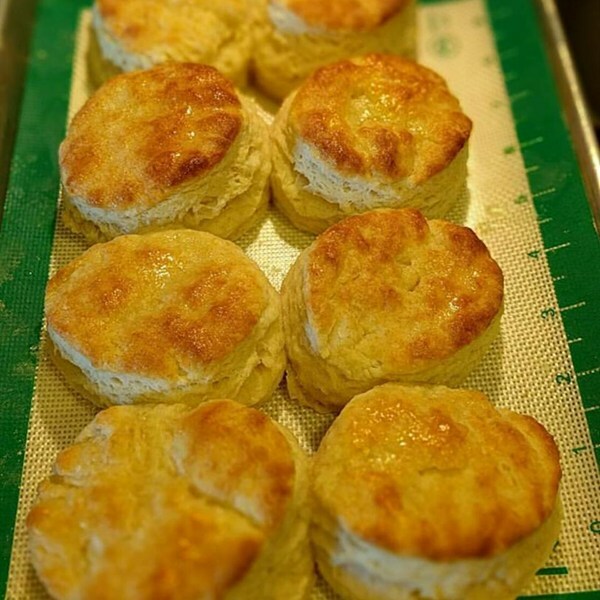 Separate into biscuits, and serve hot.